MANUVIKASA provides opportunities to the professionals, employees of the companies and interested persons in community development and environment conservation to work as volunteers. Numbers of foreign volunteers were engaged in our activities as volunteers. Volunteers can engage in office administration, teaching, planting, water conservation, FPO activities and any other activities interested by them. 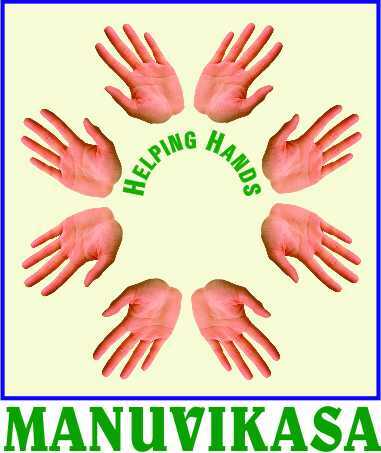 Volunteers can start campaign thorough online and raise funds to the MANUVIKASA. Volunteers can also involve in bringing publication about the organization activities and best practices. "During my six months of volunteer work with MANUVIKASA I have became familiar with many of its programs. What I would like to point out about their work is the visible impact it has on under privilege farmers, children and women in the area. Also I experienced a huge amount of team work between the staff members as well as passion and strong commitment to spreading livelihood and education. I take this opportunity to thank all the staff members and especially Mr. Ganapati Bhat for support and feed back during my tenure with them all the best for their future and I am certain that the world becomes better place through their work."